Last week, Microsoft had their yearly developer conference tagged Build 2016. From what I heard, tickets for the conference sold out in 60 seconds. Which put people like me who can't afford it in the same class as people who weren't fast enough to get a ticket. So the rest of us had to watch the online streaming of the event. Skype can now automatically translate conversation between two different languages (and already available for over a dozen languages). So you can call someone in Japan, speak English and he will hear Japanese at his end and when he speaks back in Japanese you will hear the English translation. They showed a video of how it would help refugees communicate with officials in their host countries. Skype will also have bots that can manage your conversations and get tasks done for you. You can speak to the Skype bot to plan your travelling: block your calendar for the chosen dates, book hotels and order food. Microsoft Office will now have Microsoft Graph. Just like Facebook Graph works, letting you see which of your friends already like a celebrity or event or page or game or another friend. Now you can see what your colleagues at work are interested in. It even lets you auto set meeting times to when everyone's calendar is unblocked. It will be a very cool thing for companies to use. Hololens. Microsoft virtual reality device will soon be available for sale to the public. Cortana is now way smarter and people can build apps that interact with it. Microsoft is embracing open source. And for me the most interesting part is that we will now have Ubuntu run natively on Windows. And right now there is Bash (the popular Linux shell: Bourne Again Shell). And that is what I want to talk about in this post. Other programmer specific news like what they've done to Azure and Visual Studio and Xamarin and the coming Windows 10 anniversary update later this year (US Summer time). 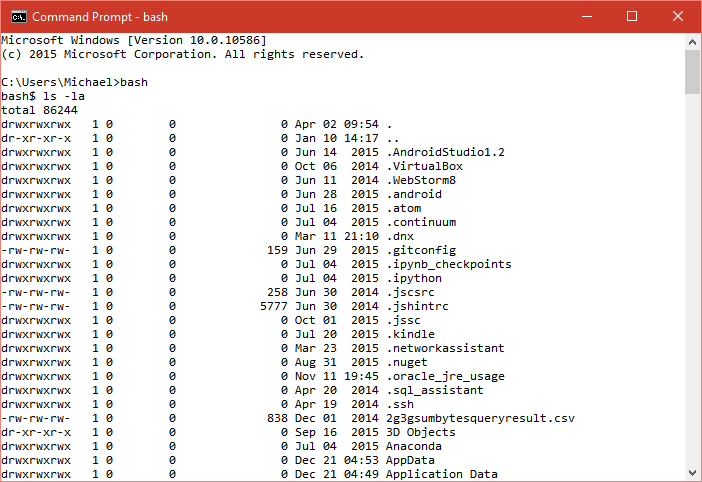 So what is Bash? And why am I excited that it is coming to windows? Bash is like windows command prompt. In Linux and Unix, you are given a lot of options on what command-line interpreters (shell) to use on your command prompt. There is ash, bash, ksh, csh and zsh among others. But the most popular is bash. In 2008 I caught the Linux fever and started using and learning Linux intensively. 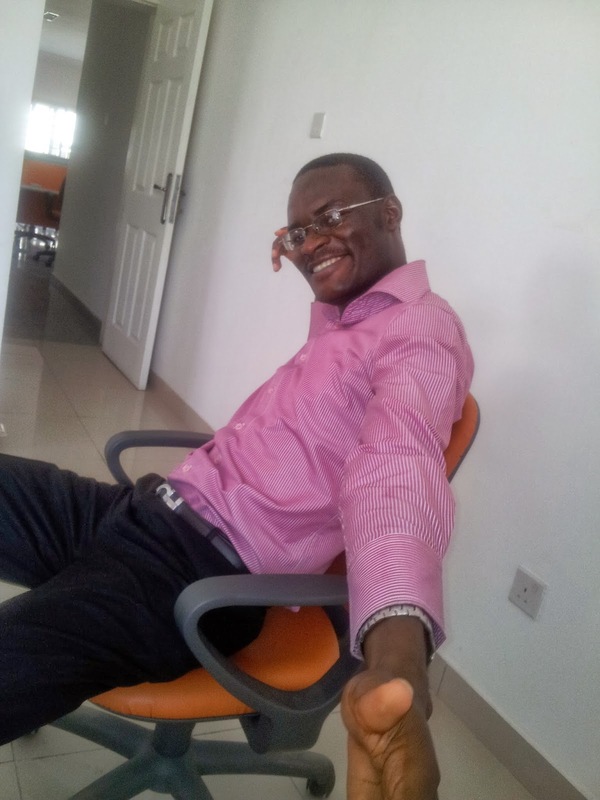 I became so good I was teaching other people, organised Linux seminars and even ended up training senior engineers at TCN (Transmission Company of Nigeria) after they got acquired by Manitobas and some were sent for training. I loved working in Linux and enjoyed the Linux terminal way more than Windows command prompt. So now you know why I find this bit of the news very exciting. 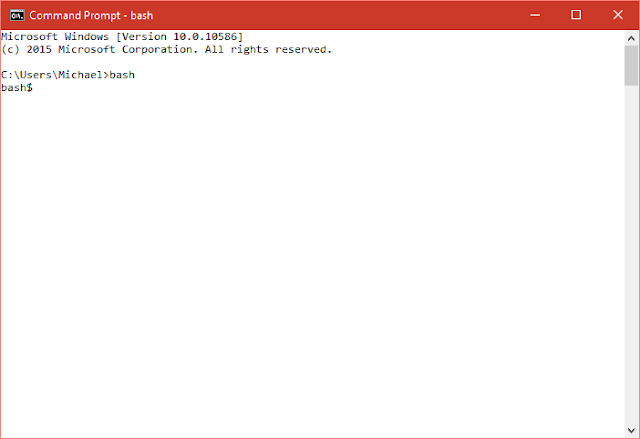 How do you install bash on Windows? You simply go to http://win-bash.sourceforge.net/ for detailed instructions and download it (here https://sourceforge.net/projects/win-bash/). Follow the installation instruction on the first site. Here is what it looks like on my Windows 10 PC.